already opened on the Printer (tipically, due to an Internal Print Command). 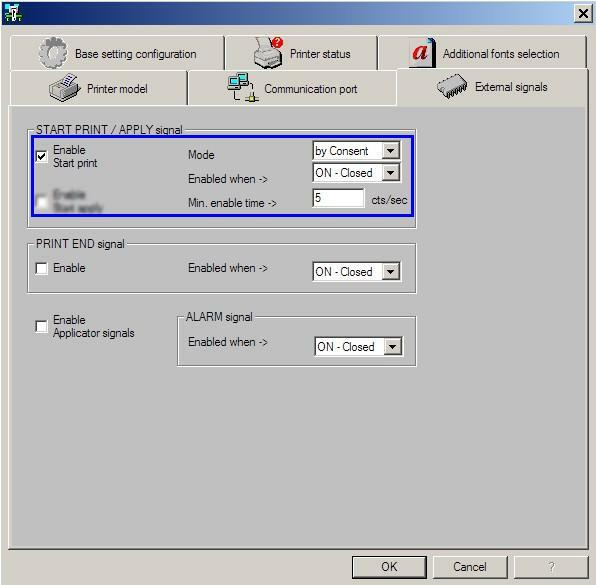 by Command: the Printer makes a Print DIRECTLY every time a "Start-Print Signal" is detected. 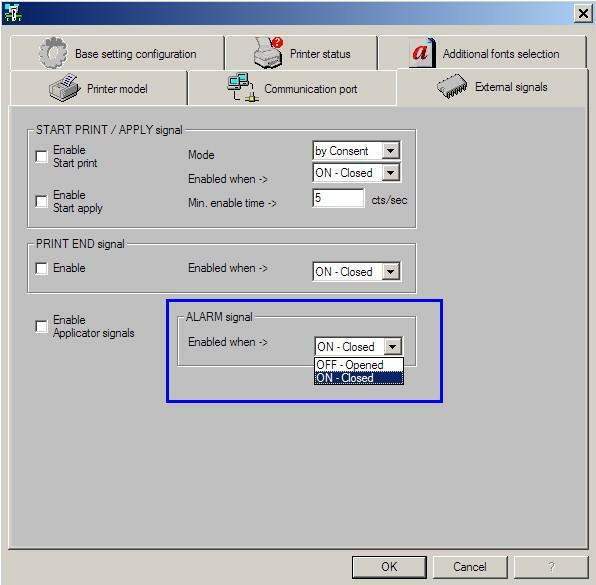 It's the minimum period of the "Start-Print Signal". 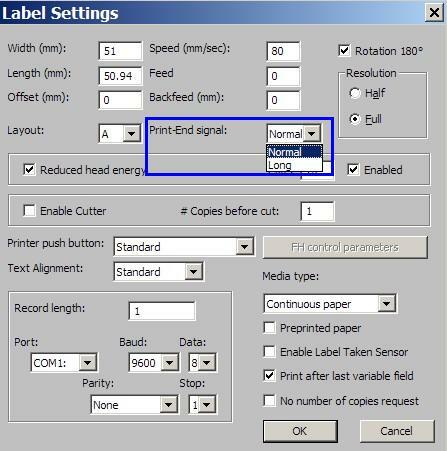 if setted as zero, the Printer works "on Level". Normal: "Print-End Signal" activated FOR 250ms AFTER PRINTING. Long: "Print-End Signal" activated WHILE PRINTING. "Applicator Cycle" execution is always subordinate to the Print of a Label. 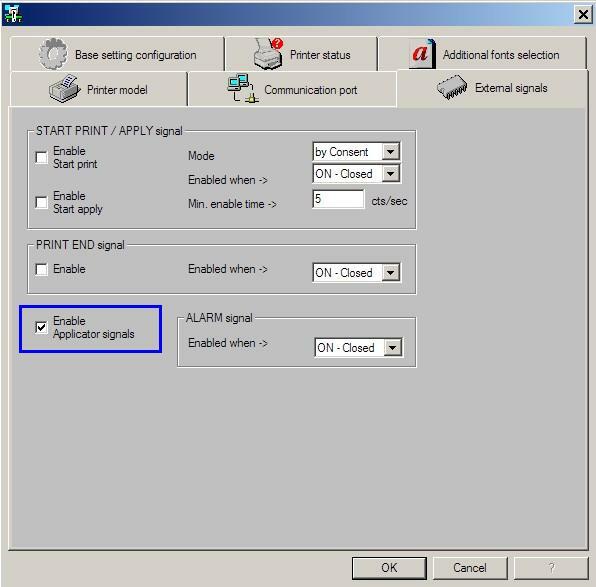 by Consent: for each performed Print, when detects a "Start-Apply Signal" the Printer ONLY runs the "Applicator Cycle". by Command: for each performed Print, when detects a "Start-Apply Signal" the Printer runs the "Applicator Cycle"
and AUTOMATICALLY ejects the next Print. 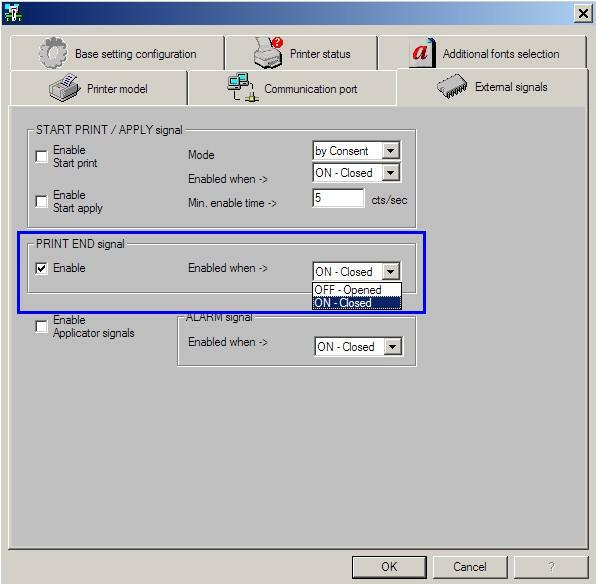 It's the minimum period of the "Start-Apply Signal".